A company is in the process of creating an “up to” 6,999 beef cattle confined animal feeding operation (CAFO) on 400 acres on U.S. 50 in western Johnson County, just west of Powell Gardens. A number of neighbors are not at all happy. And on and on and on. There are hundreds of comments, the vast majority are negative. 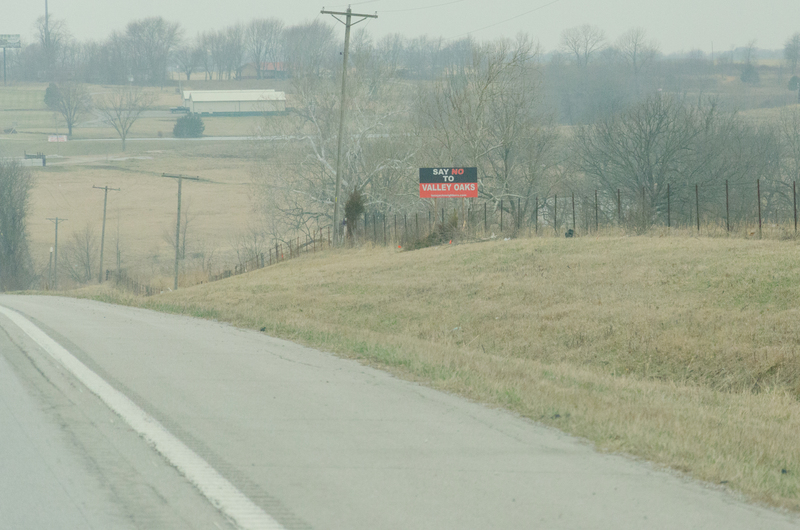 Department seeks public comments on draft water permit for Valley Oaks Steak Co.
JEFFERSON CITY, MO, MARCH 20, 2018 – The Missouri Department of Natural Resources is seeking public comments concerning the application for a National Pollutant Discharge Elimination System, or water permit, for Valley Oaks Steak Company LLC, Concentrated Animal Feeding Operation permit number MOG010872. The department will hold a public hearing from 6 to 8 p.m., on April 3, in the Multi-Room BC of the Warrensburg Community Center, 445 E. Gay St., Warrensburg. The hearing is to understand public concerns about Valley Oaks Steak Company LLC’s application for a new NPDES permit that authorizes the operation of the CAFO. Valley Oaks Steak Company LLC is located in Johnson County at 1921 W. 50 Highway, Lone Jack. The focus of the hearing will be on whether the application for a new NPDES permit that authorizes the operation of the CAFO complies with permit requirements. For more information about the public hearing or Valley Oaks Steak Company LLC’s application for an NPDES permit, visit https://dnr.mo.gov/env/wpp/cafo or contact the Missouri Department of Natural Resources’ Water Protection Program at 800-361-4827 or 573-751-1300 or by mail at PO Box 176, Jefferson City, MO 65102-0176. You can bet it will be well attended. I plan on attending public hearings on CAFO’s April 3rd join me to voice your concerns. For the record I am opposed CAFOs they are in conflict to the farmers bill of right and family farms.